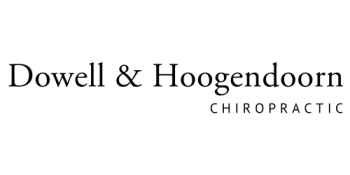 Dr. Hoogendoorn has a wealth of knowledge from over 30 years of chiropractic practice. He has experience working with a wide variety of patients including athletes, auto accident cases to chronic pain patients. He is experienced with athletes from youth to professional and has enjoyed working with multiple teams as their chiropractic doctor/consultant. He has a cutting edge practice and is always looking to bring in improvements and new technology to his office by attending classes and symposiums every year. His focus is on optimal function of the musculoskeletal system as well as delivering long term pain relief. His methods of analysis and treatment are geared to find the underlying cause and treat the patient for lasting pain relief and structural stability. He utilizes a wide variety of techniques in his office and treats patients with muscle and trigger point therapy, physiotherapy (ultrasound, galvanic stimulation, diathermy, and cold laser), all while using full spine and extremity chiropractic manipulations as the cornerstone of his treatments. Dr. Hoogendoorn has had extensive training with Dr. Ted Carrick of the Carrick Institute, giving Dr. Hoogendoorn a global background in chiropractic neurology. His practice philosophy is to find the problem, fix it and get you back into your normal life as soon possible. Let Dr. Hoogendoorn and his caring staff become part of your team for better health. Dr. Hoogendoorn grew up in Manteca, California graduating from East Union High School. He then went on to Stanislaus State University in Turlock, California where he completed his undergraduate work. His chiropractic career began at Palmer College of Chiropractic West in Sunnyvale, California where he obtained his 4-year doctorate degree in just 3 years. After receiving his doctorate degree Dr. Hoogendoorn than went on to complete the 2-year neurology program at the Carrick institute, studying directly under world renowned Dr. Ted Carrick. Dr. Hoogendoorn is certified in the use of a variety of lasers, specializing in the Multi Radiance Super Pulsating Laser. This is the same type of laser used on many athletes by different professional sports teams. Dr. Hoogendoorn is a Certified Disability Evaluator and Certified Qualified Medical Evaluator. Dr. Hoogendoorn studies are ongoing and current to keep him fresh and knowledgeable to better treat his patients.